Andrew S. Erickson, “Power vs. 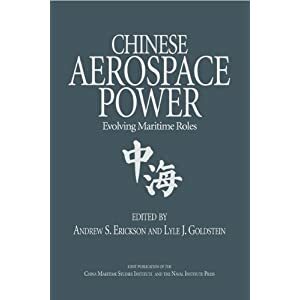 Distance: China’s Global Maritime Interests and Investments in the Far Seas,” in Ashley J. Tellis, Alison Szalwinski, and Michael Wills, eds., Strategic Asia 2019: China’s Expanding Strategic Ambitions (Seattle, WA: National Bureau of Asia Research, 2019), 247-77. An examination of China’s maritime power projection along a continuum of national interests and capabilities that diminish with distance and could be subject to slowing, setbacks, or reversal. Under Xi Jinping’s ambitious emphasis on national rejuvenation, China is growing in all dimensions of national power, acquiring increasingly far-flung interests overseas. 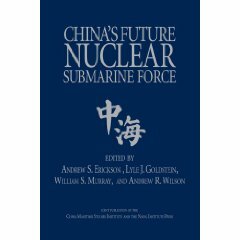 It is facing mounting domestic and international pressure to address them with unprecedented capabilities, particularly with its rapidly developing navy, and is allocating increasing resources with which to do so. Yet approaching and sustaining the remarkable U.S. constellation of global support capabilities that allow the U.S. to engage in combat operations against another major military worldwide seems unrealistic for China—even looking out over decades—given both the uniquely favorable opportunities that the U.S. has enjoyed and China’s geographic liabilities. Moreover, in its fourth decade of sustained growth in national power, China faces increasing headwinds that will likely slow its future progress overseas, as well as internal risks that may even draw it inward. Even if China becomes convulsed by internal problems, its very disarray could subject its immediate neighbors lacking significant sea buffers to tremendous challenges. To counter China’s expanding maritime presence, the U.S. should carefully cultivate its global network of alliances and partnerships, which is a unique strength offering unparalleled influence, access, and power projection. Particularly for worst-case scenarios, U.S. decision-makers must consider how to leverage China’s strong power-distance gradient to shape its behavior across a full spectrum of contingencies. U.S. planners must address enduring technological imbalances and invest accordingly in capabilities to counter China’s military counterintervention approaches while targeting its vulnerabilities. 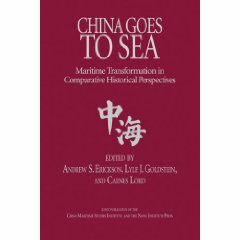 Andrew S. Erickson is a Professor of Strategy in the China Maritime Studies Institute at the U.S. Naval War College. Ashley J. Tellis, Alison Szalwinski, and Michael Wills, eds., Strategic Asia 2019: China’s Expanding Strategic Ambitions (Seattle, WA: National Bureau of Asia Research, 2019). Strategic Asia 2019: China’s Expanding Strategic Ambitions, the eighteenth volume in the Strategic Asia series, describes how China seeks to reshape the international system to serve its strategic aims. 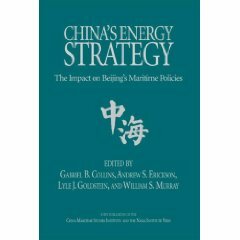 Each chapter assesses the country’s ambitions in a particular geographic or functional area and presents policy options for the United States and its partners to address the challenges posed by a rising China. China’s Global Development Spending Spree: Winning the World One Yuan at a Time?